PRE order: NOT yet in stock! Ordered on working days before 12h noon, delivered next working day in BE-NL. The Eiffel Tower in the evening red of the setting sun. From the boats on the Seine as well as from the quays you can enjoy this unique spectacle. 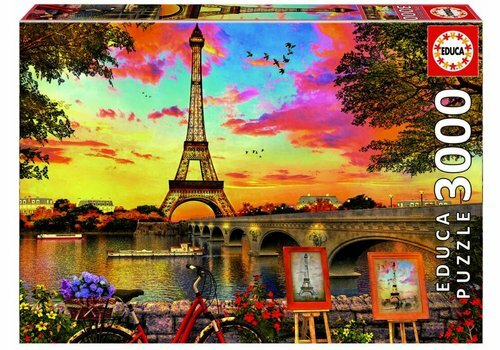 When is your trip to Paris? 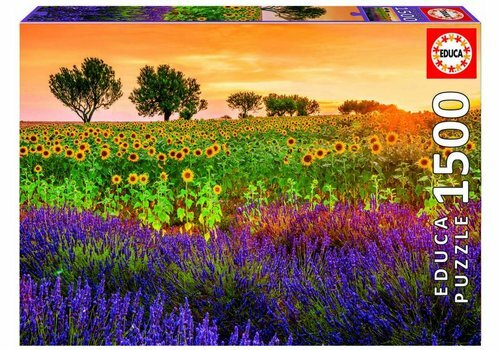 Imagine yourself in Provence! Walking in the field with the sunflowers and the fragrant lavender. 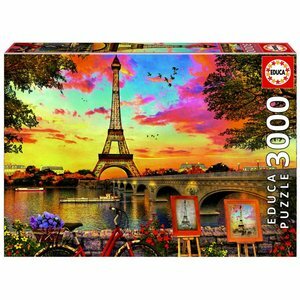 Thanks to the puzzle glue that is in the box for free, you can easily glue the puzzle afterwards! Stay up to date with the latest news and the best promotions! 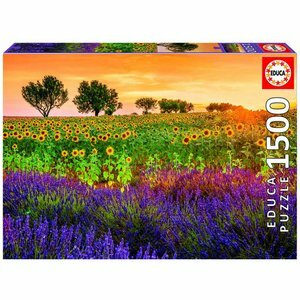 Despite the digital evolution, we strongly believe that the classic jigsaw puzzle will never disappear! However, they are increasingly difficult to find in the shops. That's why we offer you over 1500 different products! Easy ordering, fast delivery!